Shortly after 7 a.m., people began reporting the ruptures. 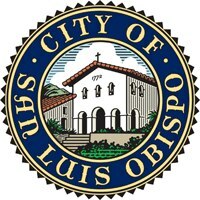 San Luis Obispo police officers responded to the 200 block of Bridge Street and found water rising out of both sides of the street and gas bubbling up. Bridge Street is located just south of South Street. There are businesses in the area, including Charter Communications, as well as a trailer park. Authorities issued evacuation orders for two blocks. Bridge Street east of Bebee Street is expected to remain closed throughout the day. Workers are first repairing the gas line, which officials say is the main concern. Crews will repair the water pipes after fixing the gas line. Better, that SLO needs more high-density, three-story, ‘homes’. Good luck on that one, Boldguy!! I’m quite sure the city will blame it on big oil, sue for a correction and a superfund. no, it was NOTHING you did, was it. In fact it was the NOTHING that you did, expecting it to last for the ideal forever unicorn happy dance gas and water happy. I hope Mayor Heidi Harmon and the rest of SLO City Counsel are reading this article!!! SLO City needs to push for a aggressive infrastructure capital improvement plan, instead of electric cars and other frivolous ideas!!! Don’t hold your breath, expect raises for Lichtig and Dietrick and others. Lol…that of course will only happen when they decide to impose another tax on us. BOHICA!